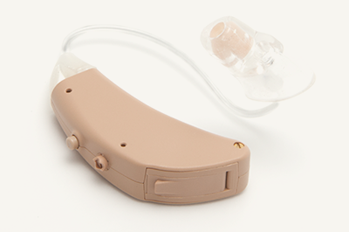 Premium Digital Hearing Aids at Mail Order Prices. Buy today with confidence! We're so sure that you'll love your new Songbird Hearing Aids that if you aren’t satisfied, just send them back within 45-days of purchase for a full product refund. No questions asked. My husband loved my Songbird because he was no longer subjected to the sounds of my TV when he was trying to watch and listen to his TV in the next room. My friends loved my Songbird because they no longer had to repeat everything they said to me. Telephone contacts loved my Songbird because they no longer had to scream into it to talk to me. My doctor loved my Songbird because he no longer had to write me directions to make sure I got them. Most of all, I loved my Songbird. It removed parts of the aging process and returned me to my 30's. I could again hear the Beatles and the Doors at normal volume. I could hear real rustling and chirping when I walked through my yard. I could hear the "thwack" of a well hit golf ball. I could hear the clicking of the turn signal in my car. I felt like a whole person again, an unimpaired person. My husband loves my Songbird because he is no longer subjected to the sounds of my TV when he is trying to watch and listen to his TV in the next room. My friends love my Songbird because they no longer have to repeat everything they say to me. My doctor loves my Songbird because he no longer has to write directions to make sure I understand. Most of all, I love my Songbird. It removed parts of the aging process and returned me to my 30's. I could again hear the Beatles and the Doors at normal volume. I could hear real rustling and chirping when I walked through my yard. I can hear the "thwack" of a well hit golf ball and I can hear the clicking of the turn signal in my car. I felt like a whole person again... an unimpaired person.